Is there a better alternative to Quiztones? Is Quiztones really the best app in Audio category? Will Quiztones work good on macOS 10.13.4? 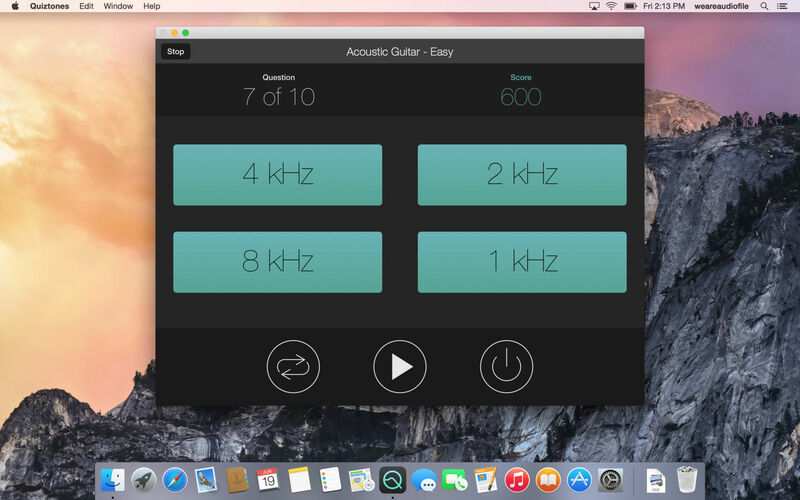 Quiztones is a frequency ear trainer for amateur and professional audio engineers, producers, and musicians. 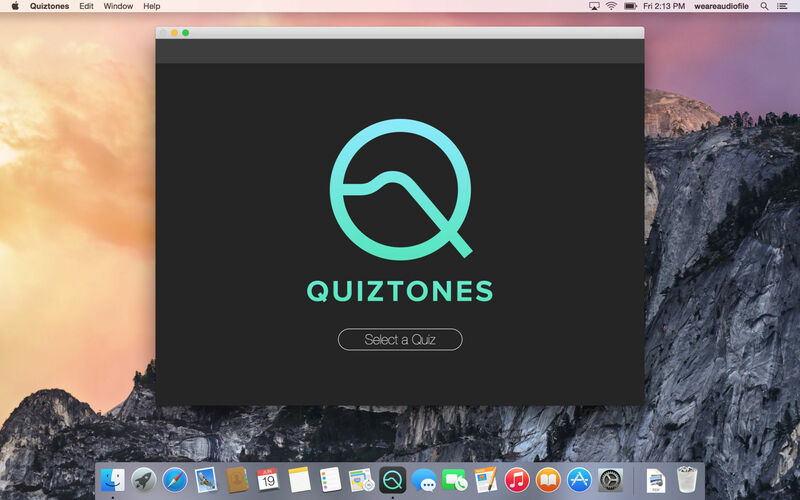 Quiztones uses tones and frequency-altered noise and musical loops (including source material from your own music library) to train your ears and help develop more acute listening and frequency recognition skills. Quiztones needs a rating. Be the first to rate this app and get the discussion started!